It’s November and that means that winter is coming. The colder temperatures lead to drier climates during the winter months and that can significantly impact your client’s beauty routines. Make sure that you have these three winter treatments available at your spa or salon–your customers will need them the most in the coming months. A lack of humidity means a lack of moisture in our skin. Help your clients mend red, dry and cracking skin with treatments that bring a little life back into their faces. Moisturizing facials will be a hot seller over the next few months to make sure that your customers know that you offer them. Post a few before and after shots on your social media to give your customers an idea of what immediate results they can expect to see in their skin. Your client’s skin is not the only thing that needs a little extra TLC during the colder months of the year. 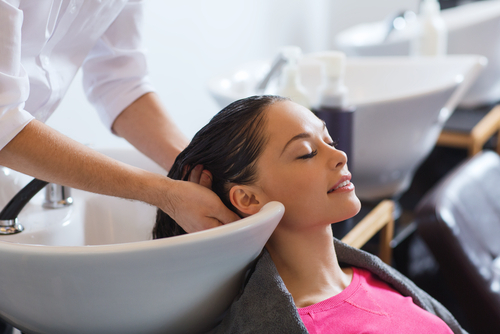 Your client’s hair may be reacting to the lack of moisture in the air in the same way that their skin is. That’s where their favorite spa or salon comes in to save the day. Start offering a buy one get one 25% off to inspire clients to keep coming back for more. Cold weather makes muscles more susceptible to strain. Colder temperatures, the stress of the holiday season, and end of year deadlines create the perfect storm for tense clients this time of year. A deep tissue massage can help them work out the kinks and take on the winter with renewed gusto. Create a massage loyalty program and reward your clients for coming back. The winter months are an important time of year for your spa or salon so make sure that you are making the most of it with these winter treatments. Drive more customers to book your treatments with SinglePlatform. Learn more about how we can help your business get discovered everywhere that matters online.